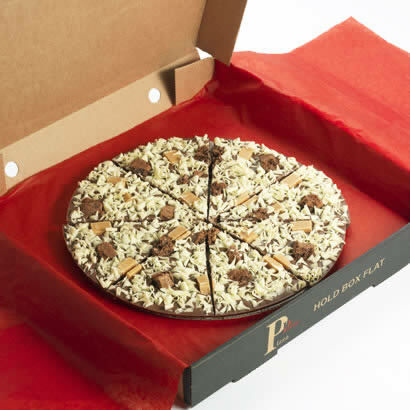 Prezzybox have kindly given me a 7" Crunchy Munchy Chocolate Pizza to give to one very lucky winner. 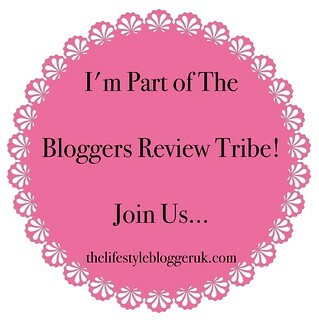 Why not take a look at their website and see what fab gifts they sell http://www.prezzybox.com. You can become a fan on Facebook at http://www.facebook.com/Prezzybox, you can follow them on Twitter at http://www.twitter.com/prezzybox, you can become a fan on Google+ at https://plus.google.com/+prezzybox/ and you can follow them on Pinterest at http://pinterest.com/prezzybox/. Entry is via the Rafflecopter form below. The competition will be running from 5am on 1st October 2012 until 4am on 31st October 2012. It is open to UK residents only, aged 18 years and over. Winners will be drawn at random on 1st November 2012 from all valid entries. chocolate pizza will do me fine! I love the Retro Slush Maker - http://www.prezzybox.com/retro-slush-maker.aspx - it would save me a fortune in buying Slush's when I'm out with my daughter. :O i want these pink wedge wellies!! Given the fact that winter has definitely kicked in (I'm freezing!) I'd love the Aroma Home Hot Sox Feet Warmers - Cow, especially as they'd match my cow print onesie! It would have to be the OCD Chopping Board, as I can get a bit OCD with chopping at times! the retro slush machine is a firm favourite of mine, I keep saying "one day"
I love the indoor allotment - how cute! Wedge Wellies a bit of glam in the garden!! I think my grankids would love the rainbow night light, Think i would love it too! Love to win this for my mum! After seeing the pic, Chocolate pizza remains the fav in my mind!! Chocolate pizza...whats not to like! Chocolate pizza is the one i want the most. Can share it with my friends. You can't ask for more Chocolate and pizza all in one! Yes Please! Adopt a Meerkat - my mum loves Meerkats! I'd love the iHat - MP3 Headphone Hat the most. Ultimate comfort for my head, and music to my ears! Sorry looks like I'm taking the easy option but not! I've always liked the look of those pesky chocolate pizzas!!! Loving the My Sweetie Bottles! Ive been after a huge choccie pizza from them for a while! I'd really like the spider catcher as I'm terrified of spiders. I've always wanted a Candy Floss Maker, would be great to make my own & k=not be fun fair prices! I love the OCD chopping board! Perfect for my hubby! I love the electric scooter for kids. slushie maker, I love slushies! the Mustachifier is fab, so cute! I'd love the Retro Slush Maker! I would most like a relaxing spa day my body really needs it at the moment. http://www.prezzybox.com/lashes4cars.aspx - These are hilarious although the real reason for wanting them would be just to see the look on my Hubby's face! Seems like we all have our eye on the slushie maker, would be great for cocktail night too. Oh may need to add that to my wish list for Christmas! I've wanted to try the choccie pizza for ages! The choc pizza's without a doubt! slush maker as a lot of fun! The chocolate pizza looks good ! The chocolate pizza of course!! I bought one of their chocolate pizzas as a present so I'd love one for myself! The indoor allotment we love growing our own food. The retro slush maker would be nice. I'd like the chocolate pizza best! The candy floss maker! It looks amazing!